Still on the hunt for the perfect gift for the fashionista in your life? This holiday season, get yourself “back in the saddle” with these truly unique items from b.i.t.s. b.i.t.s (Back in the Saddle) offers luxurious, yet affordable equestrian-based accessories with an emphasis on modern, simple, and elegant designs. The latest venture from leading Los Angeles-based handbag designer Cindy Gellersen, all pieces are made from Marlboro leather, completely unisex and can be converted to everyday wear. 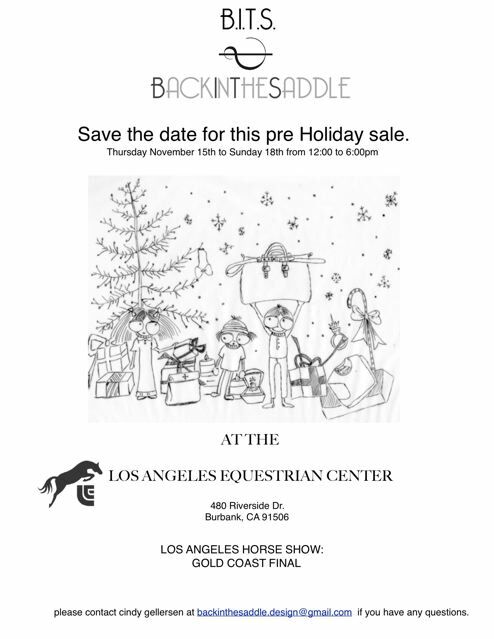 The sale is next week so you have time to check out the b.i.t.s. look book and prepare your wish list. 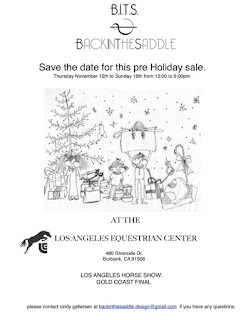 The L.A. Equestrian Center is located at 480 Riverside Drive, Burbank, CA.